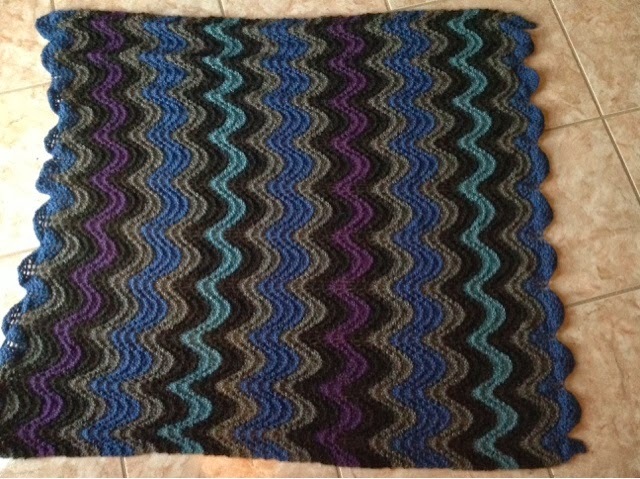 In my absence from this blog, I finished a baby blanket. Mr. Grumpbump's niece is expecting her first child, a boy, in September, I believe. Mr. Grumpbump liked my first Gradient Baby Blanket, so I picked up baby yarn in cute boyish colors (green, blue, purple) and went to work. I slipped the first stitch of every row so that the edge would look cleaner. 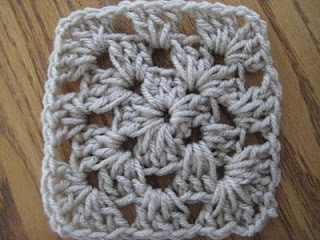 I toyed with the idea of adding a crochet border, but I was afraid that adding it would take away from the effect of the "bleeding" of one color into other. I've picked up my ripple afghan to try to finish it. It's been forever since I've touched it. I also bought some really cute pink wool yarn for a hat for my sister-in-law. Apparently, she's got a very small head so I have to force myself to knit it like it was for a child. For some reason, I always want to knit bigger sizes even in the face of what I'm supposed to do. It means that everything I knit is always too big (which is why I love blankets, throws, afghans....no sizes to worry about). Part of my absence from blogging is because I had to get my house organized. Things were way out of control (laundry, housekeeping, papers everywhere...) and not getting any better until one day I just cleaned one room. One room. And all of sudden, I could not stop. The entire house got cleaned and organized in a few days. Mr. Grumpbump helped too (and he is in the process of getting our garage in a manageable state). And now, I actually make the bed every morning; dishes get done on time; and there are not massive piles of laundry to do every weekend. We are keeping up with the neat and orderly Grumpbump household. It is very relaxing in a funny way. I don't get stressed the second I walk into the house. Now, I'm not bragging, nor am I saying that my floors are so clean you can eat off of them, because I have three cats and my house will never be completely clean. I will always have cat hair dust bunnies no matter how much I sweep. Miss Macy is the biggest shedder in our house. It's insane how much hair comes off of her. The easier way to see evidence of that is to look inside her cat bed. I wish I could say that she enjoyed the comforts of the soft and overstuffed cat beds we inherited from my stepmother. No, instead Miss Macy loves her box. A cardboard box. I don't know how it's comfortable but Miss Macy runs to that box for safety, for sleep, for her sanity.